Cousins…. – Journey to my heart…. I feel old saying this, but time’s were different when I was younger…. My Dad’s family all lived (and still lives) in Canada and my Mom had 11 siblings so I think there are 40 some cousins on the Kuperus side. Distance prevented close relationships with all of my cousins, but there seemed to be a commitment to connect regularly and so road trips often involved visiting Aunts and Uncles and cousins. And then there were the one’s we saw regularly, vacationed with and enjoyed just hanging out…. Perhaps my good memories of time spent with my cousins is part of my motivation to nurture good friendships with the cousins who are my nieces and nephews. We have some advantages today including closer proximity, a smaller number than the 40+ cousins I had, a great age range of the 14 and technology (phones, texting and Boniface) which has encouraged the development of their friendships with each other. And so I love that for Cousin Camp this year, we are heading to my cousins pig farm. I still remember holding baby pigs there when we would go to visit. I do realize it is much more than a pig farm. Bert and Michelle have created a wonderful home and have a delightful family. There will be swimming and horse back riding, four wheeling and capture the flag playing, there will be laughing and talking and I am sure a good time by all. And so I encourage you to nurture the friendships between cousins today so that in their grown up years they will have friendships that continue through thick and through thin in the day-to-day but more importantly in the journey of family! I am thankful for my parents and their commitment to family…. 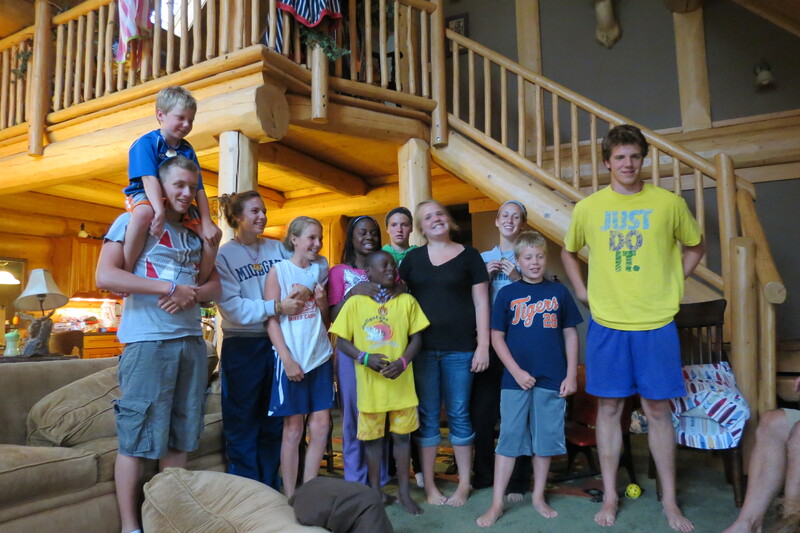 I am thankful for my siblings and nieces and nephews and their love for one another…. Previous Previous post: Olympics 2012….